SPC Collette was one of two American soldiers killed by small arms fire. Special Forces SFC William D. "Will" Lindsay, age 34, from Cortez, Colorado was the other American killed and three other service members were wounded in the firefight. Also killed was one Afghan commando and three commandos were wounded. 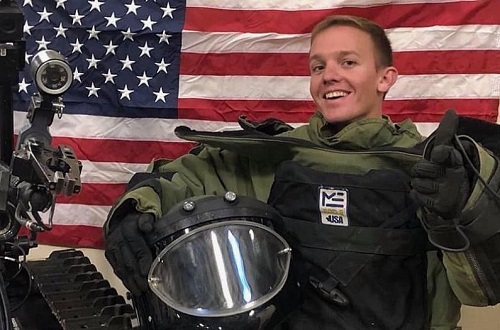 SPC Collette, who joined the Army in 2010, was scheduled to conclude his service in February 2020. This was his first deployment. Collette was posthumously awarded the Purple Heart Medal with Oak Leaf Cluster. His other awards and decorations include the Combat Action Badge and the Senior Explosive Ordnance Disposal Badge, according to a statement from Fort Carson.